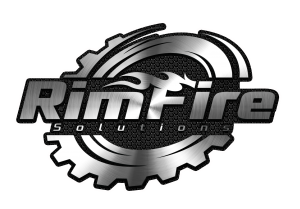 Culligan is pleased to announce that their Aboriginal Partner “RimFire Solutions” was recognized for their commitment and support to the Oil Sands Operations. Feeling overwhelmed with last months utility bill? Let Culligan of Fort McMurray help you put money back into your pocket. How is this possible you ask? Well, I’m so glad you asked. When hard water goes through your household it creates a calcium buildup in your pipes and water heater reducing water pressure and makes your water heater work harder = your utility bill $$ goes up. There is a general mis understanding with Water softeners, people think that the Water Softeners will result in a higher utility cost year round. In fact a Culligan water softener cost no more then what you pay to power your alarm clock year round. With an HE Water softener your small and large appliances will be protected and extend the life of the appliances for just over a $1 a day. Softened water will help make your washing machine last longer, use less detergent and your clothes will last longer. Your Dishwasher will thank-you by leaving you with spotless dishes. Oh and the best part of waking up is having Culligan Coffee in your cup! An RO system can give you just that for less then 50 cents a day, Contact your local Fort McMurray team for more information. Our team can also clean and get your coffee maker back up to snuff and Culligan of Fort McMurray can set you up with your coffee needs (Starbucks, Tim Hortons, McDonalds, Newfoudland Screech and more flavors…) Let Culligan of Fort McMurray simplify your to do list so you can spend more time on your personal well being and family! Catch you on my next topic! Are your hands and skin feeling dry, itchy and or cracking? Are you suffering from breakouts? If you said yes to any of these then a Culligan Water softener may be just what you need. You’re probably thinking “A water softener? REALYY?” Yes, really! Hard water contributes to a bunch of hair and skin issues, including dry itchy skin, and acne. Hard water has even been linked to Eczema. Thankfully, your local Culligan dealer of Fort McMurray is here to the rescue!! SO WHAT IS THE DIFFERENCE BETWEEN HARD AND SOFT WATER? Hard water has high amounts of calcium and magnesium. Soft water, on the other hand has little to no extra calcium and magnesium. Not sure exactly what a Water softener does? Well here is a quick break down. The device reduces the calcium and magnesium levels by filtering the water through resin, a bead like substance covered with positively charged sodium ions. When the water passes through this substance the resin exchanges its sodium ions with the calcium and magnesium ions thus making the water soft. So this is why a Culligan water softener will help you and your family. Hard water can make your scalp dry and itchy much the same way it does on your skin. When your skin becomes dry, it increases oil production to make up for its dryness. This causes a build-up, which in turn clogs your pores by leaving a film on your skin and in your hair. Soft water works with soap, helps make a better lather and you only need to use a little bit of it. Where hard water counteracts its effectiveness. It creates that filmy sticky residue. Hard water has you using more soap and doesn’t help rinse off as well as soft water. A study done on children showed that 83% of the participant’s rashes and or eczema decreased after using a water softener for a couple of months and 67% of the group were able to use fewer medications for the eczema. Now that sounds like a win to me. Do you by chance have teenagers in your household who are suffering with acne or do you suffer with adult Acne? Use of hard water on the skin can even cause acne. When your skin becomes dry, again it increases oil production to make up for it, which can lead to acne. The unwanted minerals in hard water can also cause a chemical reaction with this naturally occurring oil, clogging pores and causing breakouts. A Culligan of Fort McMurray Water Softener won’t dry your skin and strip it of its natural oils, thus leading you or your family members to clearer skin and fewer breakouts. Did you know that a Culligan Water Softener also help reduce the amount of soap and shampoo needed? A cost savings point for you. Hard water can cause hair to become dull and flat, because shampoo doesn’t lather as well and it doesn’t rinse out as well in hard water. And if you like to have you hair coloured, keep in mind that the minerals in hard water make your colour fade faster. Oh and how about that shower! A Culligan Water Softener makes cleaning faster and easier too. You wont have to scrub soap scum off the shower walls and glass! Why? Because the minerals are not there to create that filmy and sticky residue. All in all, a Culligan water softener will help keep your skin soft, hair nourished, less frizzy, and save you time cleaning! Stay tuned for the many other benefits a Culligan Water Softener has to offer you. Here are just a few reasons to get a Culligan of Fort McMurray Water Softener. They reduce damage to your kitchen small appliances, prevent soap film and detergent build in your large appliances; pipes and they help maintain Hot water heaters. Best part is they help put money back into your pocket by reducing your monthly energy costs and they are LOCAL!!!! Stay tuned for our next topic!